require 3-4 weeks to fill. Getting started can be a difficult task for someone who does not know exactly what it is they want and it is the first time ordering patches. We have a few tips to ease ordering. Most orders include 4-6 patches to complete their set. What are your school colors. Visit the services page and be sure to spend some time looking at all of the services. Many times there are products available that customers are unaware of that they might need. Make a list of all achievements and honors that you have earned and would like a patch for and have it with you to review as you order patches. Look at the various examples throughout the site and see what other people have done. 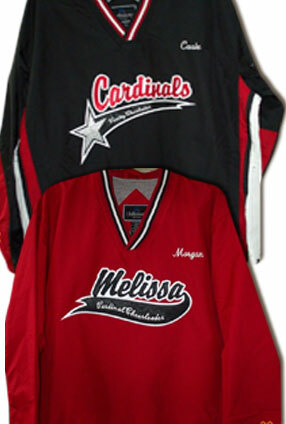 The Colors in the patch is completely up to the customer and there is no wrong selection, so be creative. Call when you order to ensure you get what you want. 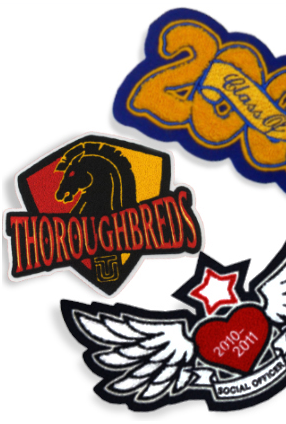 If you still are unable to find a patch that fits your needs custom patches are more affordable than you might think, please contact us for any additional information you need to complete your order or answer questions.